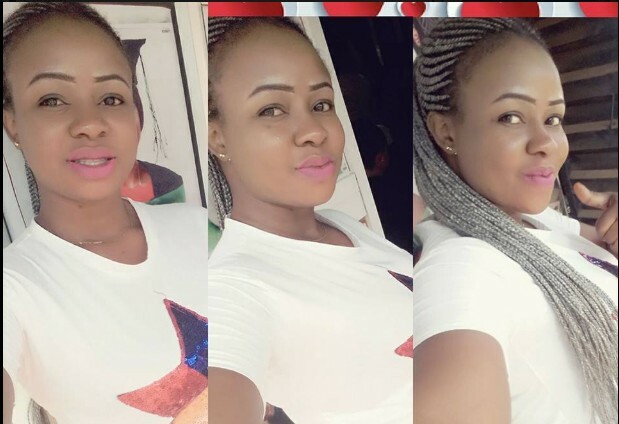 It's a sad moment for the family and friends of a vibrant student of Auchi Polytechnic in Edo state, who was killed in a ghastly motor accident. 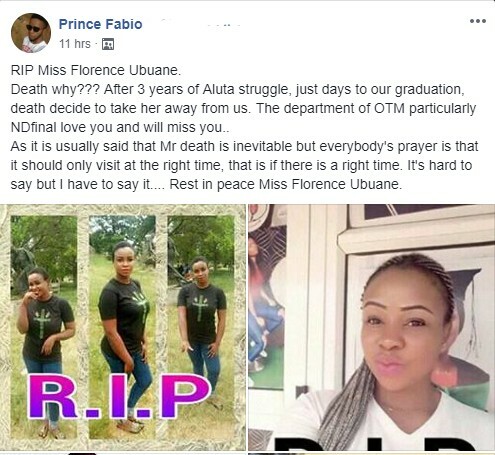 It was gathered that the deceased identified as Miss Florence Ubuane, a final year student of the department of Office Technology and Management in the institution, died after being involved in the fatal accident which happened three days ago while she was on her way to Auchi. RIP Miss Florence Ubuane. Death why? After 3 years of Aluta struggle, just days to our graduation, death decide to take her away from us. The department of OTM particularly NDfinal love you and will miss you..
As it is usually said that Mr death is inevitable but everybody's prayer is that it should only visit at the right time, that is if there is a right time. It's hard to say but I have to say it.... Rest in peace Miss Florence Ubuane.